Team ANOMALOUS hits the red carpet, with co-stars Jeff Rosick and Morgan West and director Steve Makowski, at the Academy Awards-qualifying Hollyshorts Film Festival, on Hollywood Blvd. Screening at the TCL Chinese Theatres, right next to the Kodak Theater - where the Academy Awards are held, The Massacre at Black Divide joins a fantastic lineup of period pieces, from WWII Poland, to a football-loving hospital in Ireland, and of course to the California Sierras of the 1880s. 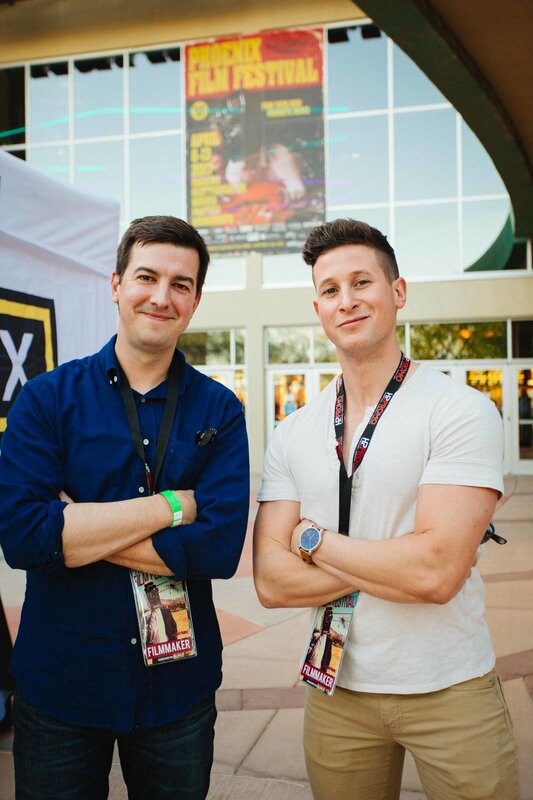 Team ANOMALOUS, director Steve Makowski and actors Jeff Rosick and Morgan West take Phoenix by storm at The International Horror & SciFi Festival, hosted by The Phoenix Film Festival! Alongside a rich lineup of science-fiction films, The Massacre at Black Divide premiered in Phoenix to a packed house. While there, the three filmmakers went full-nerd and made use of the open desert behind their hotel by shooting a two-part Instagram short film (that they believed was loosely inspired by the Jean-Luc Godard's 1960's iconic classic Breathless). Check it out on Instagram by following @anomalousdigital.